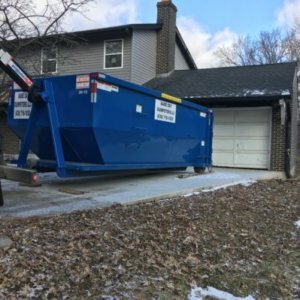 Home Dumpster Rental News How Much Does A 20 Yard Dumpster Hold? A 20 yard dumpster holds 20 cubic yards of debris. This would be equivalent to around 6 or 7 pick up truck loads. The 20 yard dumpster is the most common and standard size for a dumpster rental. It is ideal for general construction, waste removal and small demolition projects. While you may be tempted to fill it to the brim, don’t forget that each dumpster has a weight limit as well. The heavier the debris, the less you can put in a dumpster. You might be able to fill it to the brim with items from an attic clean out but could only go up a quarter of the way with concrete or dirt. Weight limits depend on the company and region so be sure to ask your dumpster rental company for more information on dumpster size and project needs. How Much Does A 20 Yard Dumpster Rental Cost? Prices vary based on location but a standard 20 yard dumpster can run between $350 to $450. A 20 yard dumpster costs $350 from Same Day Dumpsters for a 10 day rental period. Be sure to describe your project needs so the dumpster rental service can recommend the best fit for you. Many times you may need a smaller dumpster than what you think. What Kind of Projects Would A 20 Yard Dumpster Handle? The 20 yard dumpster is the most versatile size of rentals and most commonly used by homeowners, contractors and construction companies. This is in no way a complete list of uses for this size container. How Do I Know If I Need a 20 Yard Dumpster? The best way to know the correct size dumpster you might need for a job is to call your local professionals. They deal with every type of project imaginable and have practiced solutions for unique situations accumulated over years of experience. The reason a 20 yard dumpster is so popular is because it is that it can handle the widest array of projects and materials. The most important thing is to speak with your dumpster service about what types of materials can go into their 20 yard bin. 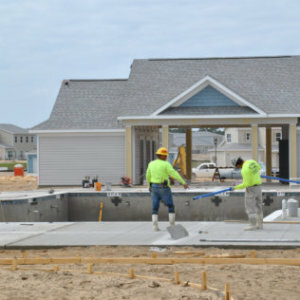 Some companies will not allow dirt, rocks, cinder blocks, sand, bricks or sod into larger dumpsters and may recommend you rent a smaller size. You won’t know until you ask. It also helps to know what materials absolutely can NOT go into ANY dumpsters. Do not smoke in or around dumpsters to prevent fires or explosions from occurring. There may be hazardous materials inside the dumpster that could ignite or serve as kindling. Here are some other safety tips you should consider for your next rental. Avoid placing your dumpster on a sleep slope to prevent slipping, accidents and troublesome obstacles. You should always have the dumpster on a flat area clear of any entryways or your neighbor’s property. Ask your dumpster rental company up front about their policies, rules and any limits imposed on your dumpster. This way you can avoid having to pay extra fees at the end of your rental period. Ask friends or family for recommendations on great companies in your area. Word-of-mouth referrals are the backbone of most businesses and one of the best ways to gauge a company’s service because you can hear first hand accounts of how they treat their customers or handle issues. Call several companies in your area and see if they meet the requirements for the best service possible. Don’t be afraid to ask as many questions as possible. You should be able to get all of the information necessary to make the best decision and any company that doesn’t have the time to speak with you probably isn’t the best choice of service. Look up the company’s rating with the Better Business Bureau and scope some of their Google Reviews to see how they have performed over the years. Again, the choice is yours so don’t be afraid to do the research. You and your project deserve the very best so why settle for less? Not Sure If You Should Use A Dumpster Or A Bagster On Your Next Project? Discover Which One Works Better For You. Plan ahead for where you will put your dumpster rental because some spaces might cause great hindrance or even potential hazards to property and person! Five important safety tips straight from the dumpster rental locations of Burr Ridge, Lemont, Elk Grove Village, Mokena and Hickory Hills.